The aloe vera plant is a tropical plant with thick, spiky leaves that’s widely cultivated throughout the world. It’s fairly easy to grow and you can find aloe vera plants in many houses and gardens. 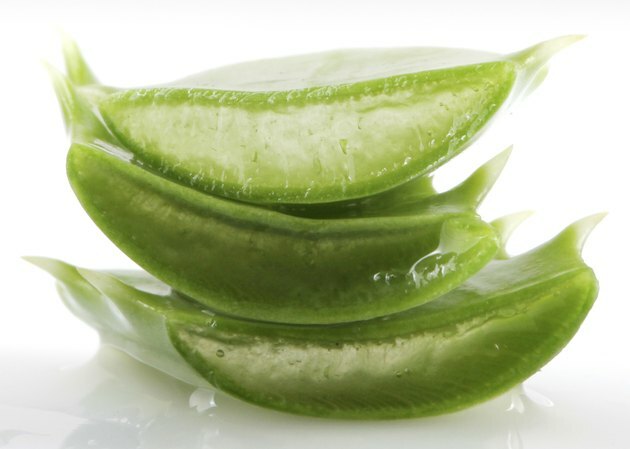 The leaves of the aloe vera plant contain a transparent gel which is commonly used to treat minor skin irritations. You can extract aloe vera gel from your own plants and store it home. Refrigerate an aloe vera drink for up to a week. You may commonly add aloe vera gel to a fruit or vegetable juice. You must keep the drink refrigerated--if you don’t drink it right away--because it contains fruit juice. Store pure aloe vera gel in an airtight container. Commercial products will have their own container, but you’ll need a separate container if you extract the aloe vera gel yourself. This container should keep air and water away from the aloe vera gel. Keep your aloe vera gel at room temperature or slightly cooler. You can store pure aloe vera gel for a prolonged period of time as long as you don’t subject it to temperature extremes. Place your aloe vera gel in a dark place if you need to store it for an extended period of time. Aloe vera gel doesn’t degrade quickly in the sunlight, but you should still keep it in the shade as much as possible. Close the lid on your Aloe vera gel container when you finish using it. Aloe vera gel can dry out over time. Throw out to commercial products that contain aloe vera gel once they reach the expiration date. How Do I Roast Shelled Sunflower Seeds? Can You Make Protein Shakes in the Morning & Then Store Them?